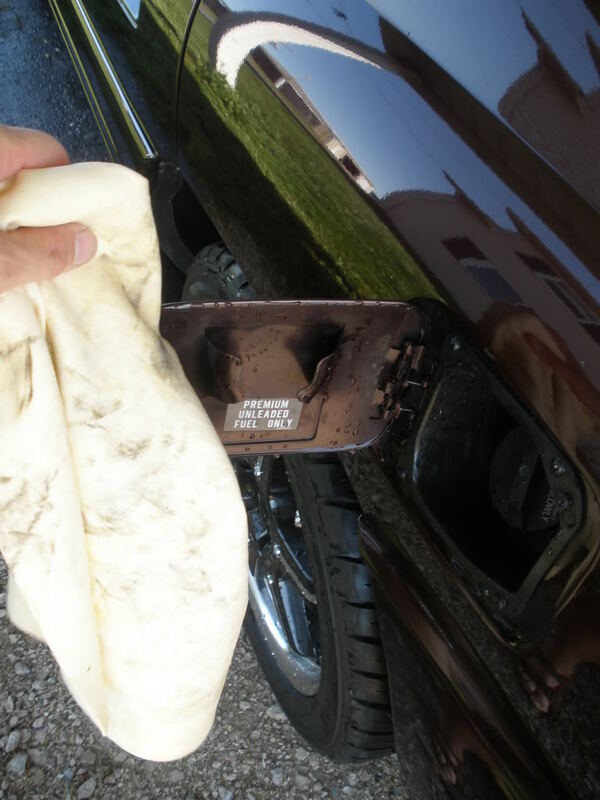 This write up will give you the basics of washing your car. It is by no means the only way to do it, but is only a basic run down. You can make changes that fit your needs. First thing you will want to do is get every thing ready before you start washing. 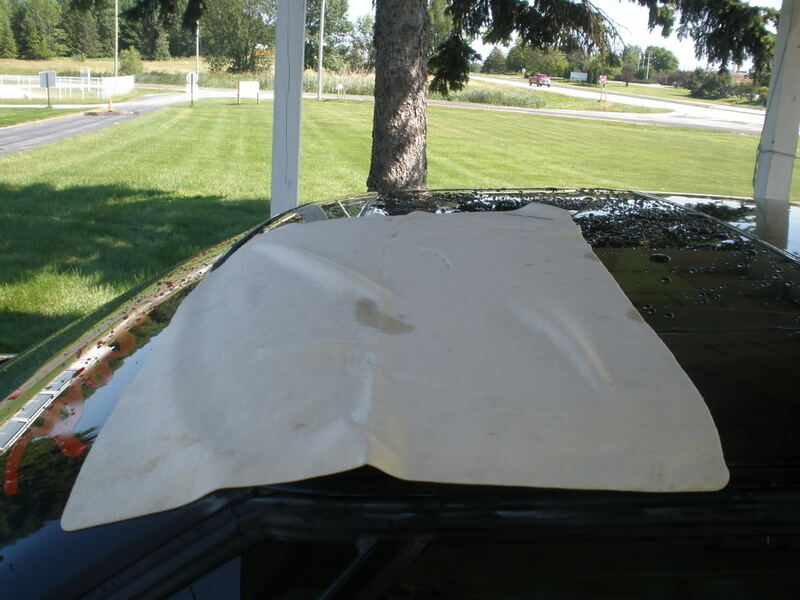 Put your car in a shaded area and leave it sit there until you can touch the surface of the car and it no longer feels hot. 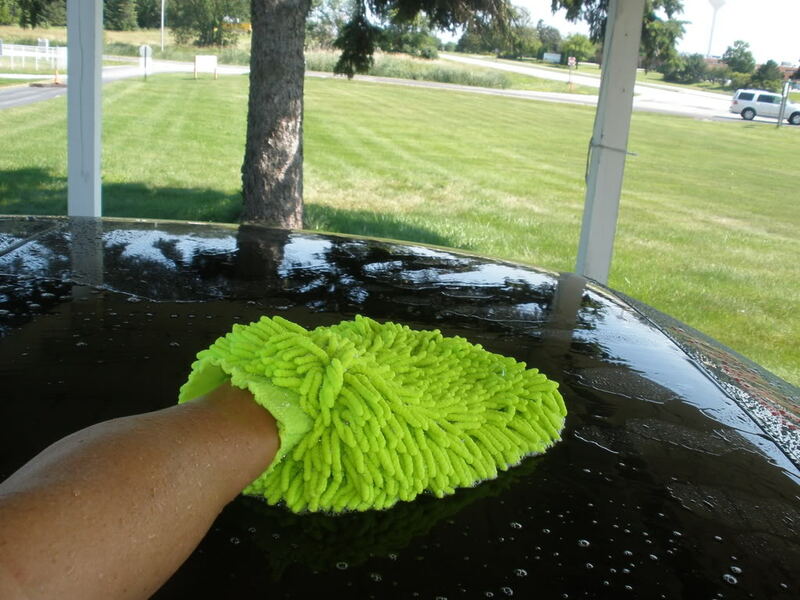 You don't want to wash your car in direct sun light. 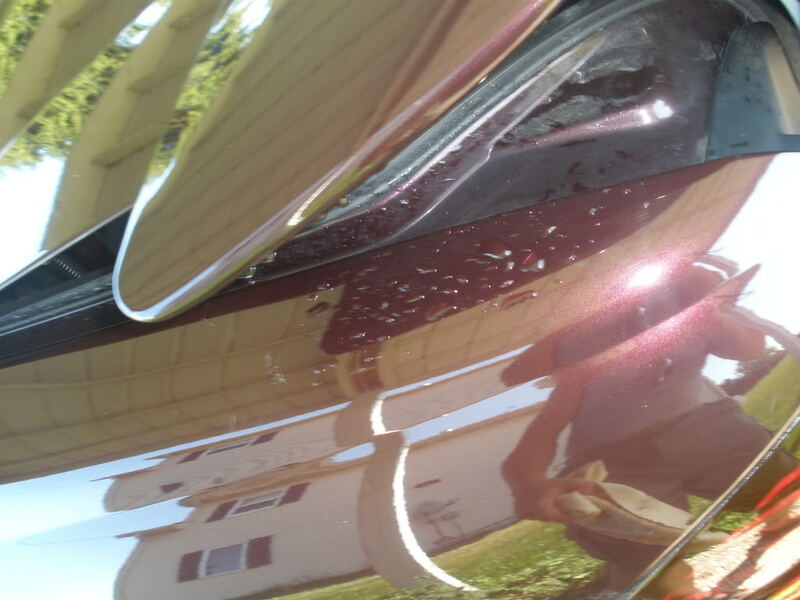 Spraying cold water on hot paint will damage the paint. Also, water will act like a magnifying glass, amping-up the power of the sun'* murderous rays. Then fill two pails with clean warm water. You can wash with one pail if you wish, simply remove the rinse step. 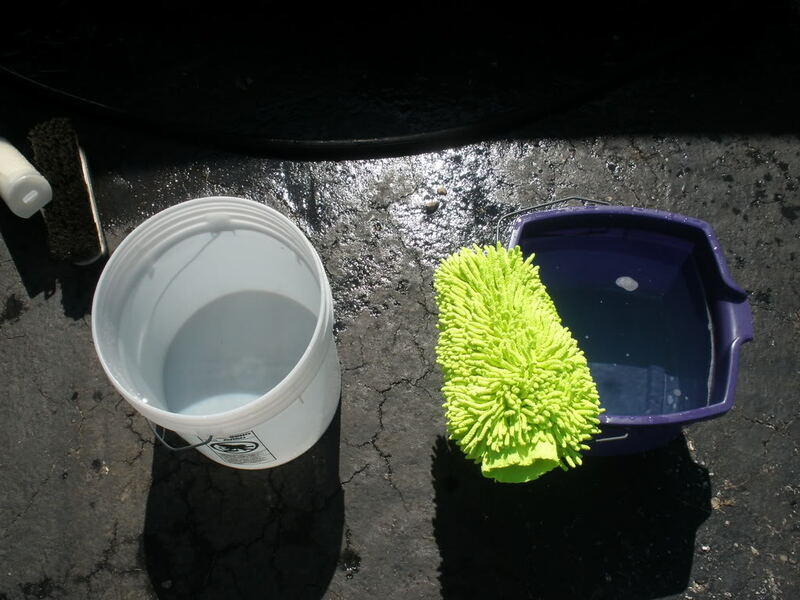 After your pails are filled with water, add your car washing soap to one pail leaving the other pail with clean water. It'* a good idea to have two pails that look different so you don't get them mixed up. 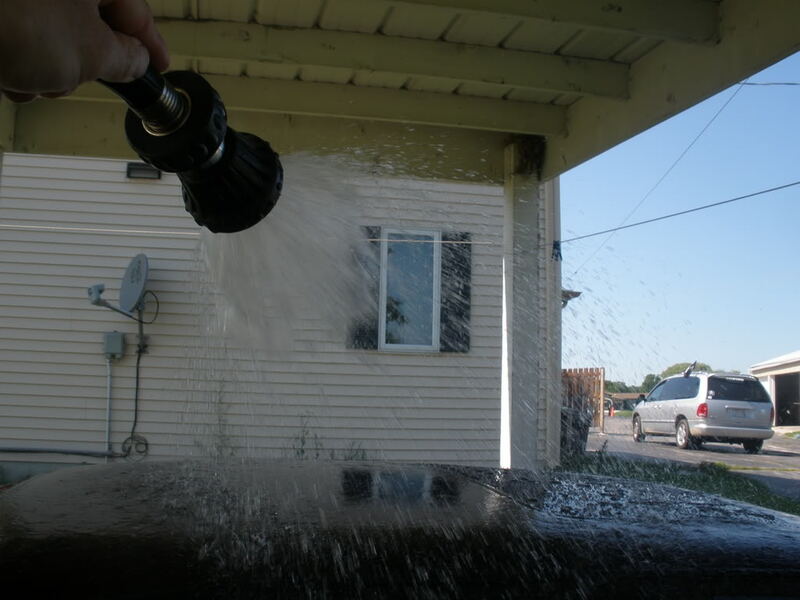 After you have everything lined up you can hose down your car. You want to get it really wet, wash off all the dirt you can with the hose. Also spray out your wheel wells. After your car is totally wet and rinsed you should wash your tires and wheels. 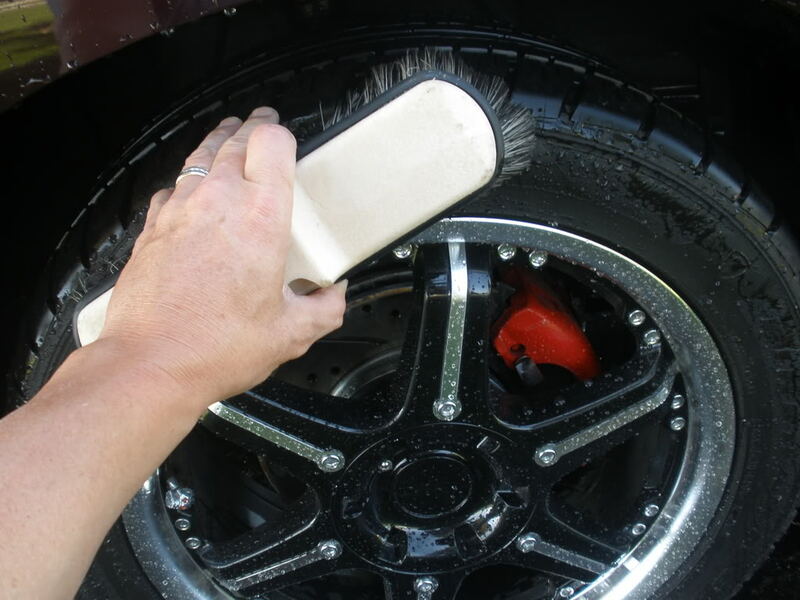 Use a different brush for the tires. 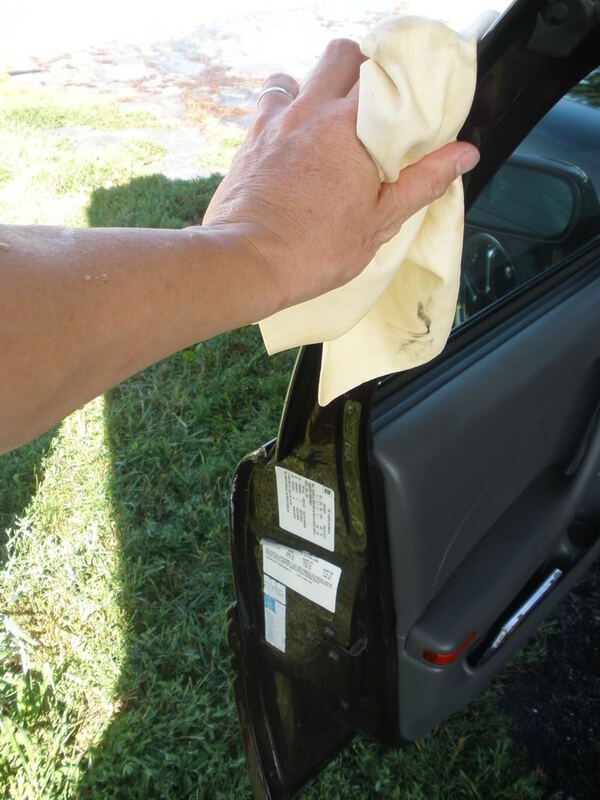 You don't want to wash your car with this brush as it will scratch the paint. 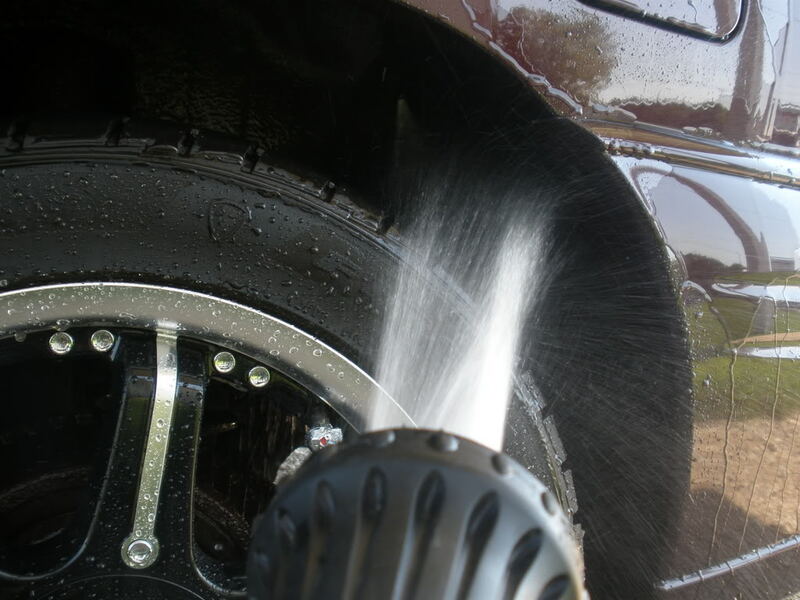 Now that your tires and wheels are all clean you can start washing the car. Start with the roof and work your way down. 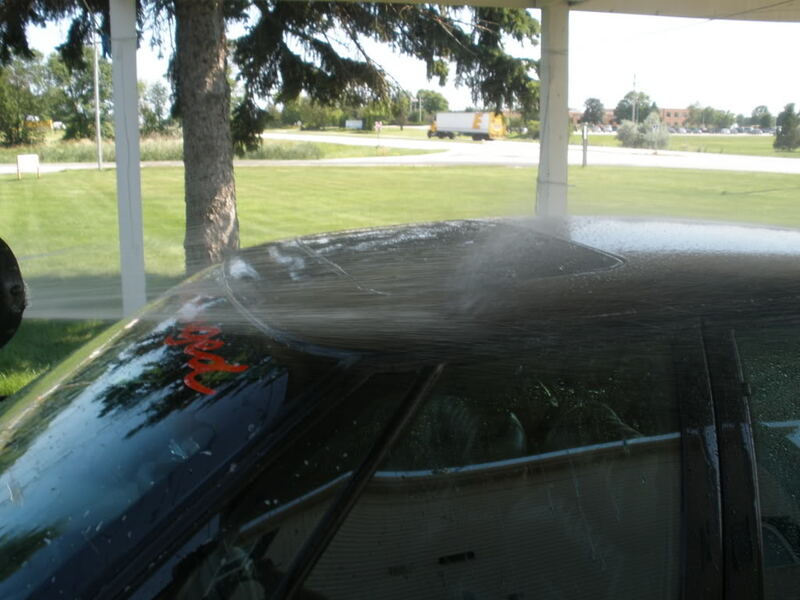 Wash your car in sections, roof, windows, hood, trunk, fenders, doors. After each section when you use the soapy water you want to ring out your mitt to get as much soapy water out as possible. 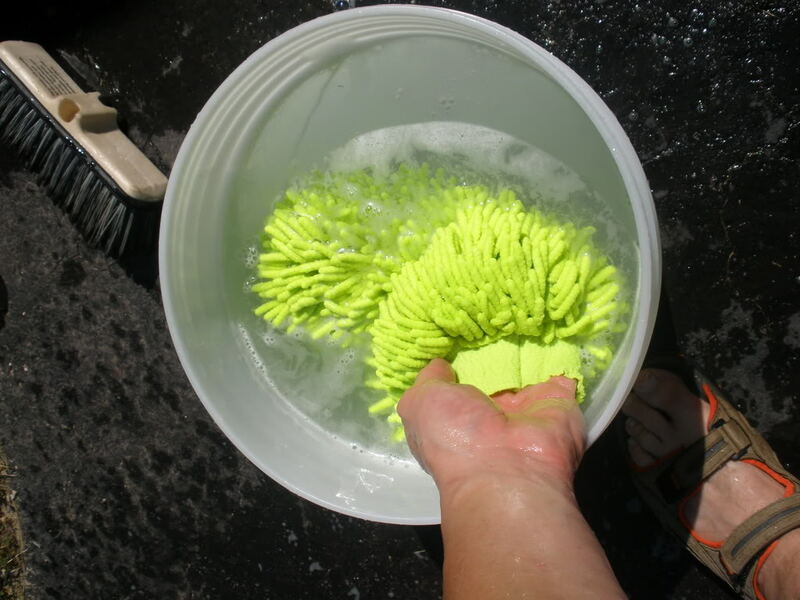 Then place the mitt in the pail with clean water, but don't push the mitt down to the bottom of the pail. This is where all the dirt will settle. Now rinse this section off with your hose. 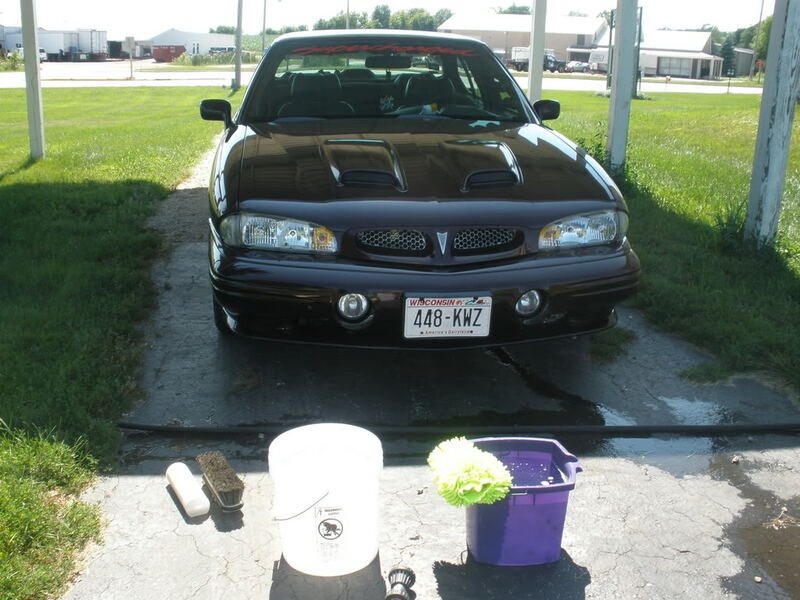 After you have washed the whole car turn you hose on to soaker to soak the car. This will cause the water to sheet off and making drying much easier. 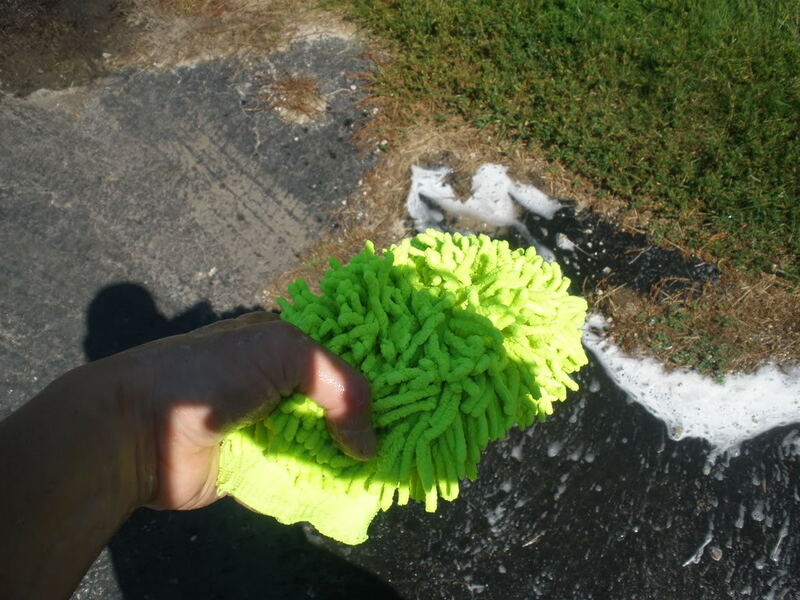 Now, using a good quality, clean micro fiber shammy lay it on the car and pull it off. This will leave the car nearly dry. Do the whole car this way ringing out as needed. Then fold in quarters and get any small areas that you missed. 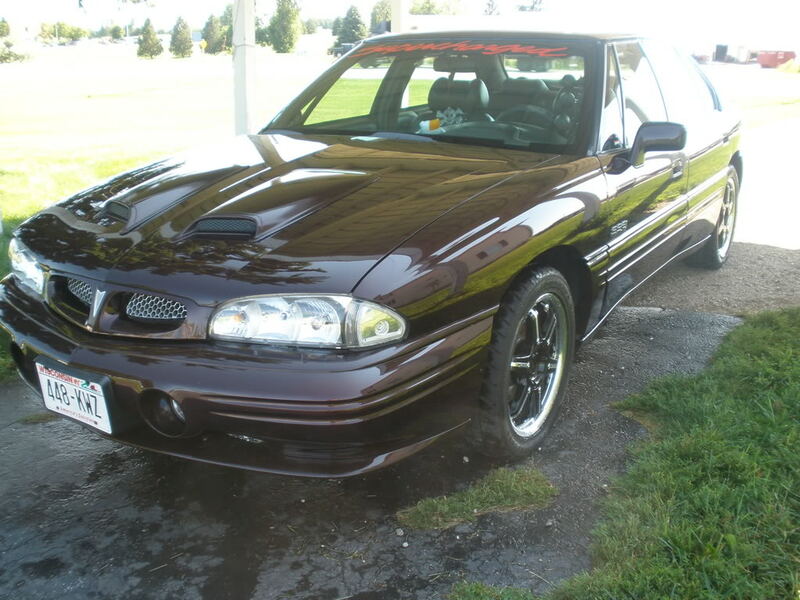 Be sure to get all door frames, hood, trunk, even gas door. And here we are, cars all clean. It should take between 30 and 45 mins to wash your car. Good luck, and hope it don't rain. Washing your engine at the car wash? oh! so last night i'm washing my car, right..